Finding trusted local or online gold bullion dealers who promptly deliver quality gold bullion coins and gold bars at fair and reasonable prices can be difficult. We have been working in the gold bullion industry for over 40 years and seen many online gold dealers come and go. Should you buy Gold Coins or should you buy Gold Bars? Since 1977, Kitco has been buying gold in the form of scrap, gold coins, and gold bars. We are the world’s #1 Gold News website, and a trusted online bullion dealer choice from where to both sell and buy gold. It is often the goal of investors to buy gold bullion at the lowest price per ounce possible. If buying the most ounces of gold for your capital is your biggest goal, buying gold bars is probably your best choice. If owning a government backed highly recognizable legal tender coin is most important to you, than perhaps buying a gold coin or multiple gold coins is your best option. Maybe government minted gold bullion bars are be the best hybrid between both offering a low price gold bar coupled with a government guarantee and high recognition hallmark. Both the Canadian Mint and Australia’s Perth Mint make such government guaranteed yet low price gold bars. Gold bars are usually of .999 fine gold and are struck in various sizes and shapes. The range of gold bar weights typically varies from 1 gram to 400 oz gold bars. Investors, governments, and central banks buy gold bars to diversify their savings and prepare for an uncertain future. Investors often choose gold bars for their typical lower price per ounce over the fluctuating gold spot price compared to government gold coins. Gold coins are typically made of 22k or 24k fine gold and come in various sizes and shapes. The range in gold coin sizes typically varies from 1 oz gold coins to 1 gram gold coins. By industry definition, gold coins are struck by government mints and usually have a legal tender face value from the nation or union from which they are made. In contrast gold bars are both struck by private mints and government mints. Often investors and gold bullion dealers are willing to pay a slightly higher price for gold coins given their ease of recognition, liquid two-way markets, and government guarantee or backing. Just following the year 2000, there has been a substantial increase in gold prices as well as in the amount of individual investors buying and directly owning gold bullion bars and gold coins. Since the financial crisis of 2008, the trend of online gold dealers selling gold coins and bullion bars to the investing public has increased substantially. It has become quite common for investors buying gold coins or buying gold bars in the hopes of diversifying risks to their investment portfolios. Private assets in an increasingly cashless and digital trackable world. Unhackable tangible stores of value that can be passed on to heirs. Safety from fiat currency devaluations. Historically proven store of value, easy to exchange. 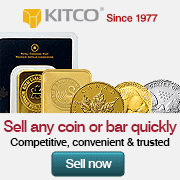 Since 1977, Kitco has been buying and selling gold and other precious metals. 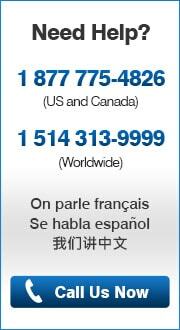 We are the world’s #1 Gold News website and a trusted online bullion dealer and choice for where to buy gold. Want more information on how to sell and buy gold?